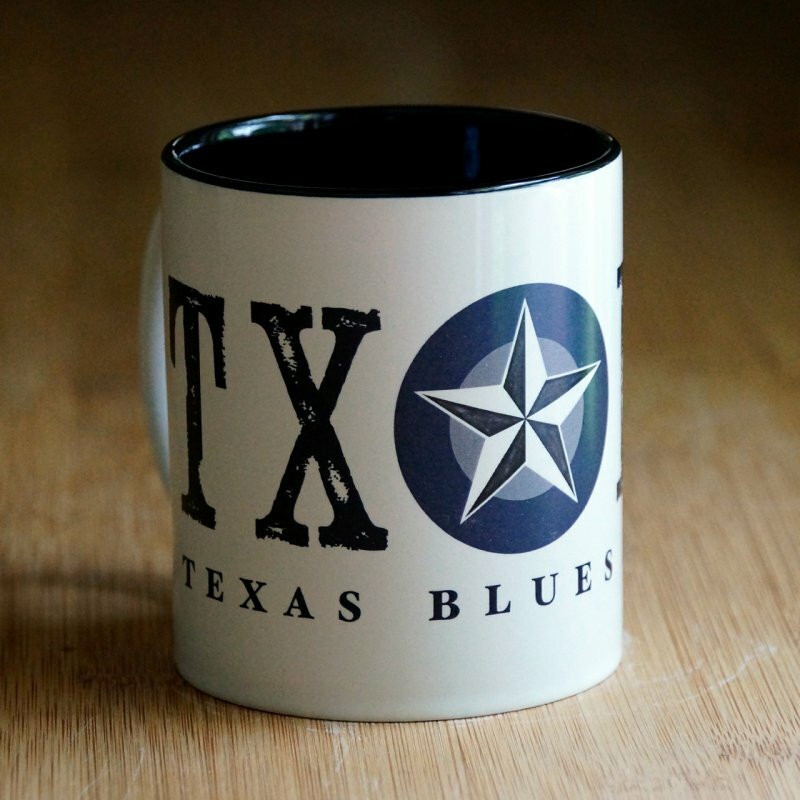 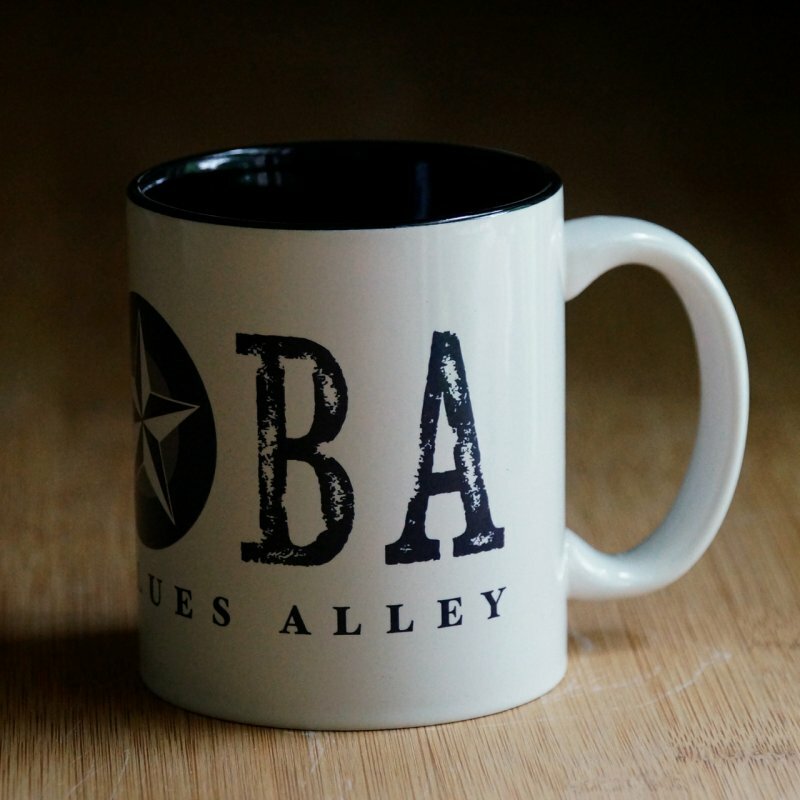 Start your day right by getting your caffeine fix from a TXBA Coffee mug. 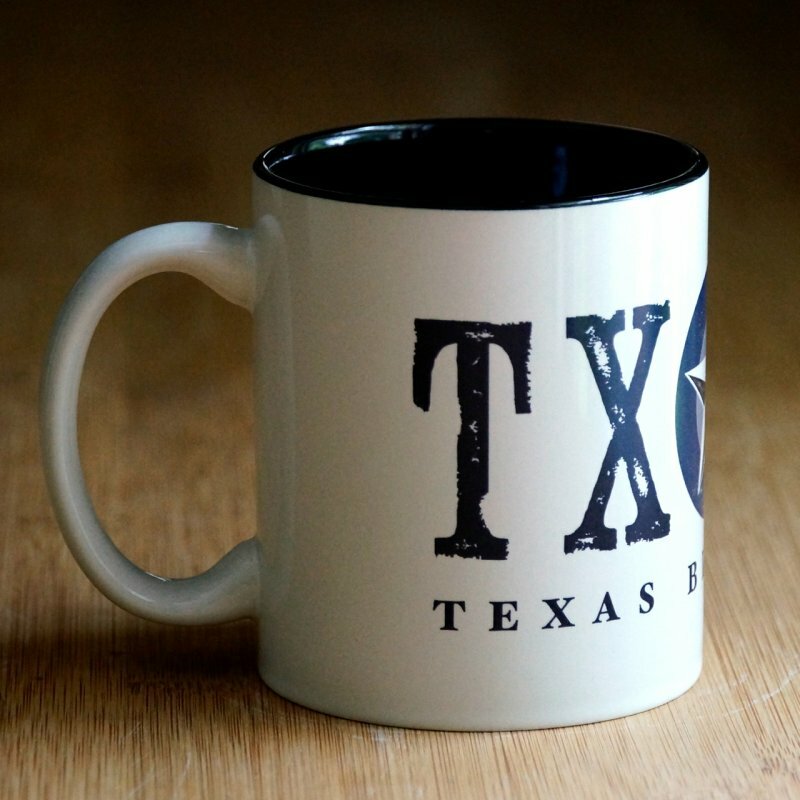 This 2-tone 11oz mug features the TXBA logo printed boldly with a full-wrap design. The mug is microwave and dishwasher safe (top rack recommended). 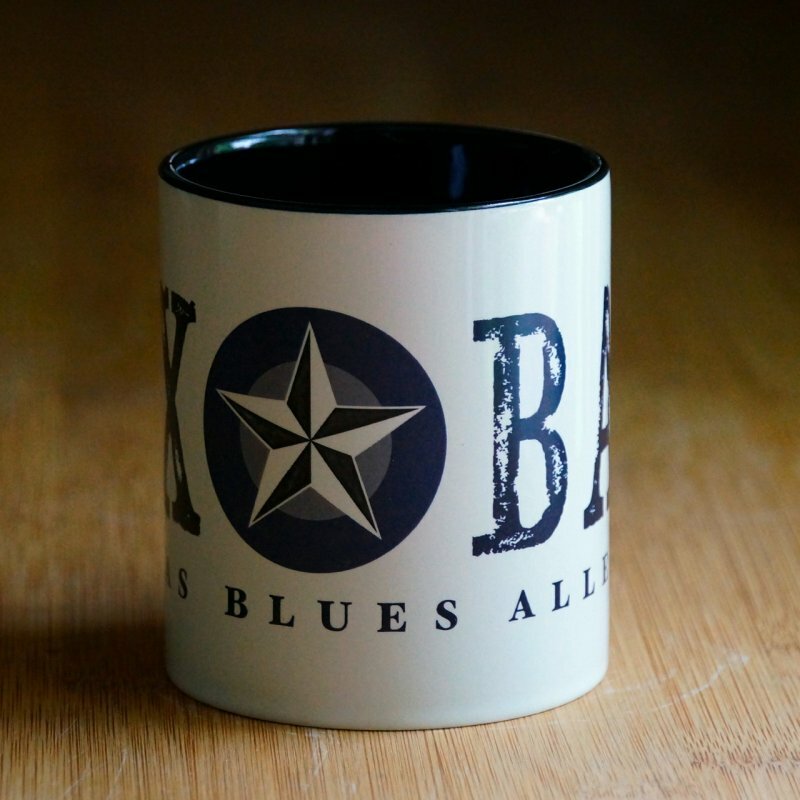 It will not help you play guitar better, but it can successfully deliver your caffeine fix with class and style.